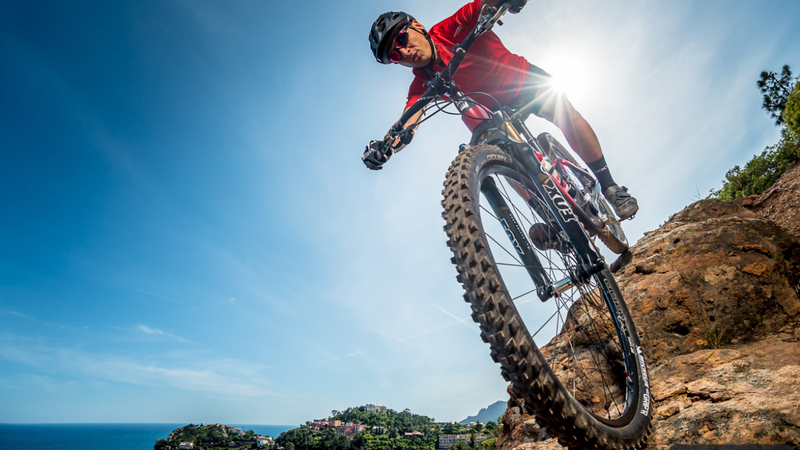 As mountain biking evolves, so do the choices facing riders. One such choice – a pretty fundamental one – is the type of bike that best suits your riding. If you’re a racing snake the choice is pretty simple: something ultra-light with aggressive geometry … the sort of thing that Nino Schurter races on the cross-country circuit or the top Cape Epic riders all use. Managing such bikes on technical sections requires some considerable skill, particularly when you opt for a hardtail, which may be super light but is not very forgiving in the tight and twisty stuff. At the other end of the scale you are a wannabe Greg Minnaar (or even Greg Minnaar himself) and your weapon of choice will be a downhill bike with huge suspension and very relaxed geometry, so much so that the front wheel seems to be sitting impossibly far out front when you are in the saddle. These are perfect for descending, but are heavy as hell and a nightmare when the trail turns upwards.